Chef-owner Teiichi “Teach” Sakurai continues to raise the bar on fine dining in Dallas. 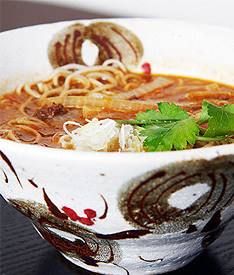 His spot in One Arts Plaza specializes in Japanese soba noodles made by hand from nutty-tasting, nutritious buckwheat flour. Another must-try: omakase. A wide variety of sakes are served warm, room temp, and iced. Glorious rooftop bar.